The Ultimate Holiday Cheese Board is loaded with your favorite cheeses, berries, pomegranates, apples, nuts, sausages, homemade Greek yogurt ranch, vegetables, crackers, olives, pickles and more for a super easy holiday appetizer that everyone will love! To me, nothing looks prettier than a well-arranged cheese board! I have enjoyed practicing on making pretty cheese boards over the years and have a Greek one, Fall one and an ultimate cheese board. I challenged myself to make a pretty holiday cheese board that would be easy, affordable and of course, delicious! For my cheese board, I loaded mine with three different cheeses (sharp white cheddar, sharp cheddar and Kaukauna® Sharp Cheddar Cheese Ball, three different kinds of sausages, cucumber, celery, homemade Greek yogurt ranch dip, blackberries, Granny Smith apples, pomegranate, almonds, 2 kinds of crackers, olives and pickles. Sounds complicated but it took me no time at all to make. The possibilities are endless for what you can put on this holiday cheese board. I first had a list of about 50 things that I wanted on the cheese board and made myself narrow it down because that is just nuts! Some great options are cheeses, nuts, meats and sausages, vegetables, fruit, dried fruit, olives, crackers, dips, spreads, bread, pickles and more. The reason that I wanted to create this recipe is because I wanted to inspire you to feel comfortable trying out making your own cheese board. It takes about 10-15 minutes and I promise you, guests of all ages will gobble it up. My kids love boards like this because they think that they are just a bunch of snacks and love the variety. I decided to whip together a homemade Greek yogurt ranch dip which seriously takes 3 minutes to make, requires no kitchen equipment except a bowl and a spoon and tastes better than any store bought dip. It is perfect for the veggies on the tray. You will probably have everything on hand that you need for the recipe in your spice cabinet plus the Greek yogurt. I have a black slate board that works perfect for a cheese board but feel free to use a cutting board or a platter as well. Trust me, it doesn't need to be anything crazy! I also made a super easy cranberry salsa to go on the cheese board to be holiday inspired! You just make it in your food processor in 5 minutes or less. Mix together all ingredients for Greek yogurt ranch dip. Arrange all items on a tray as desired. Can be made one day ahead of time and wrapped up in the refrigerator. For this cheese board, I used a Kaukauna® Sharp Cheddar Cheese Ball which I can find at my local Kroger. They come in different flavors including Sharp Cheddar, Port Wine, Smoky Bacon and other seasonal flavors. They just scream The Holidays to me! They make entertaining super easy and they're tasty as well. Kaukauna® is turning 100 years old this year and they are celebrating with an exciting update- no artificial anything! No artificial colors, preservatives or other ingredients but they still taste the same. 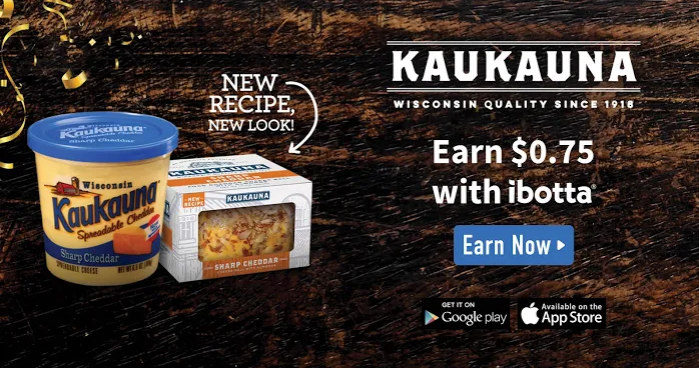 Kaukauna® has a sweepstakes going on now from 11/12-12/23/18 No Purchase Necessary. The #Kaukauna100 #Sweepstakes begins on 11/14/18 at 12:00:00 AM ET and ends on 12/23/18 at 11:59:59 PM ET. There are multiple Entry Periods during the Sweepstakes. Legal residents of the 50 US/DC only, 18+. Void where prohibited. One Grand Prize: $500 Visa card and vintage Kaukauna® crock (ARV $75). Forty-one daily prizes (ARV $100 each) consist of Visa Card (from $50-$100) and vintage Kaukana® crock ($15 to 50 ARV). ARV all prizes $4,650. By participating, you agree to the Official Rules at https://kaukauna100rules.pgtb.me/T2k21m. Find more Kaukauna® recipe ideas here. They also have a fun deal going on right now as well from 11/12/18-12/31/18, you can earn $0.75 with an Ibotta offer.